UK shipping now only £1.95! Want to find out more about our delivery options? 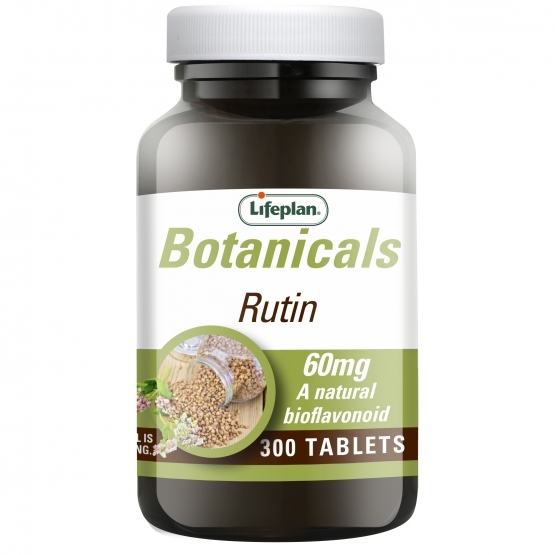 These tablets contain the bioflavonoid Rutin, which is commonly found in buckwheat. As a supplement, take two tablets daily, preferably with a little liquid. Do not exceed the recommended intake. Do not use as a substitute for a varied diet and healthy lifestyle. NOTE: Not recommended during pregnancy or when breastfeeding. added sugar, starch, salt, yeast, colourings, flavourings, preservatives or animal derivatives. You need to sign in to be able to add favourites. You can sign in here or if you haven't got an account you can sign up here, it's quick and easy. Rutin (Natural) x 300 has been added to your basket. Please feel free to contact us by phone or email.